We all face this every year. 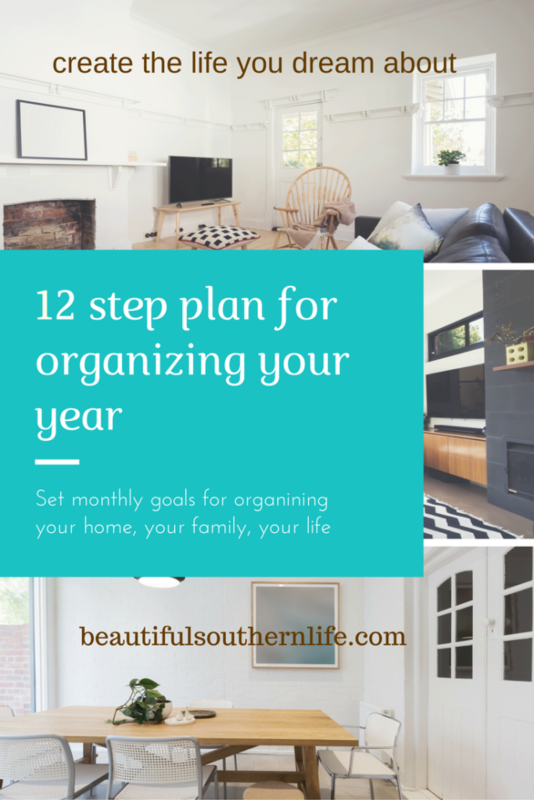 A New Year, a new me, I’m going to organize my life and my home. Then February rolls around and we have not done anything to accomplish our goals we set to organize our lives. We get caught up in the business of life and forget to take a little time and work on the goals we set just a couple of weeks ago. 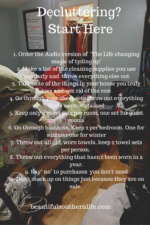 Every First day of every month I want to help you get rid of the clutter in your life and help you work on organizing your life. We will set the goals for the month and what part of your life, home and family we will work on that month. 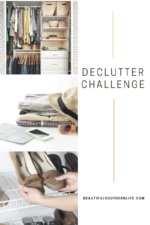 I will take one room in your house to do a deep cleaning and decluttering on each month. We will clean out cabinets, throw away things you don’t use anymore, throw away things that just take up space. Things like, multiple gadgets, crockpots, pots, old plastic containers with out lids, old lids. Then we will find spaces for each item and set up stations where you will have everything you need to do that project. We will set up stations in the kitchen and in office spaces, in bedrooms, and laundry rooms and have a family docking stations for all those rechargeable phones, i-pads and computers that need to be charged. I plan on teaching you to look at your home in a new way, where you will know where everything is and what is done in each space of your home. Your home will change drastically over the next year, becoming a space you will love to come home to. Where everything has a place and you know where everything is. I will take you on a journey of organizing you family. We will start by creating a monthly calendar of all your families events for the month. I will show you how I keep track of what everyone in my family is doing. The master paper schedule of where they are and important appointments to remember. 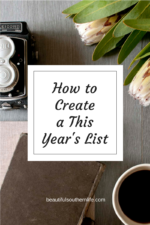 I will teach you how to set up a Google Calendar for each family member to have access to on their phones. I will show you how to merge every family members calendar into one main family calendar on Google Calendar. I will help you set up your Google Home or Amazon Alexa to play for you every morning telling you what appointments you have for the day and the week. I will help you set up a weekly calendar in your family station. Where every family member can see what is happening for the week, and have a monthly calendar for a view of the month. I will help you organize your work, life, and family so you will have time to do the things you would like to do. We will set up your morning routine and your evening routines. We will set aside time on Sunday evenings to get your week planned out. I have a Google Home and Amazon Alexa. I will show you how you can set up your Google Home or Amazon Alexa to help with cleaning, chores, and listening to the weather in the mornings, listening to podcasts, and leaving messages for family members. I will show you how you can integrate them with your Google Calendar to hear what you have planned for the day. I will show you how you can listen to music and set up your Google Home or Amazon Alexa to play soothing music while you sleep and become your alarm clock in the morning. I will have tips for what has helped me organize my family and home and my business. I will share my failures and successes in creating organized spaces, what worked and what didn’t work for my family. 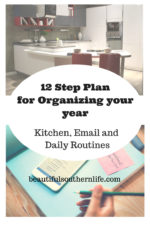 On the first day of every month I will share with you what I have planned to organize for that month. Be sure to share your wins and your struggles by leaving comments, I would love to know how you are doing on your organization plan every month. I am looking forward to taking this journey with you and creating the homes we will love to come home to.